Alexander’s in Chester is one of the city’s main go-to locations for live music and performances. 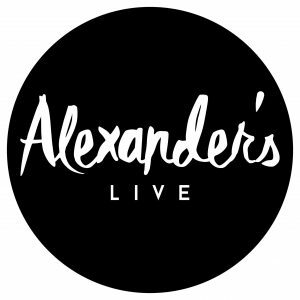 We had a chat with Jamie Northop, manager of Alexander’s about his career and the key to running a successful live music venue. S: How did you get started? Tell us about the early days of your career. J] My first ever job was in a pub and I have worked in that side of the industry on and off ever since I was 17, so about 15/16 years working in pubs and bars. I moved to Chester as a student and I was studying contemporary dance, so something very different and something that I wasn’t necessarily planning on doing, I just fell into it. But even when I was studying I worked in the nightclubs in Chester, so I was heavily involved in events and promotion running student nights. 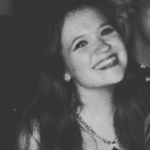 After I graduated I was elected as the Student Union president, so I was heavily involved with Chester University as a staff member then, and continued doing events on the side just one day a week because I did it enjoy it so much. I went from different jobs all over the place, I came back to Chester and started working for Beans at Cruise, so again back into student living, and getting started here at Alexander’s wasn’t something that was planned. I saw that it was up for sale in the newspaper in The Chronicle, I was sat in the office at work having a read of the newspaper over a cup of coffee, read it, didn’t think much more of it and it wasn’t until it was that day or that week, I was having a conversation with my mates about the article and it was my mates really who kept saying ‘you’ve worked in the industry your whole life.’ Obviously dance is a bit different to music, but performing arts is something I was always involved in and I’ve always enjoyed that side of things. Unfortunately I’m not musical, I can’t sing or play an instrument but it doesn’t mean I can’t appreciate it. My friends were the people that said ‘Come on you should go for Alexander’s this is the next step.’ I rang the agent, then one thing led to another and I was getting called in and it all went off, it was nice for me as well because I still feel like I’m involved in the performing arts side of things. S] Could you tell us more about the opportunities that you are offering to new artists? J] Obviously, we do focus on the music side and stuff here but we have comedy, and cabaret night. We have had open mic events that the students have been in and run, and more performance and poetry and all kinds of interactive performances that have gone really well. They’re really interesting, so I’m still working with the students over at Kingsway, which is the performing arts site where I studied, so I’m still working with all my old lecturers and doing student bits and bobs. S] In what aspects are you involved with helping university students? J] The music students have been great this year, we’ve had them coming in every single Monday, because Monday is a bit of a funny day anyway in the industry. They’ve got an open performance space where they can come and we’ve had sound technician students that can practice that side of it in a real venue and performance students that are coming in to play. It’s been so well supported by the university music department staff and it wouldn’t have happened without them putting it all together. This Monday we’ve got the first third year performance of the year in here, so I’ve been involved in going into their induction and welcome meetings and having a chat to them. I’ve been into one of their lectures as well which is a good way to get to know them, then you start to see them popping in here and it’s really nice. It really builds a community and it’s working really well. S] How would you say that the music and performing arts scene in Chester is growing, not just because of Alexander’s but due to the wider community? J] There are a lot of great venues in Chester that are supportive of performing arts and that is great to see. I think that there is a slight “underground scene” and it’s still emerging, but it hasn’t kind of broken through yet. We find we can put the best local musician on but depending on how you do it you don’t necessarily get anyone in who wants to come and watch. It’s not just here at Alexander’s, I’ve been all over the country to different things and sometimes you think to yourself, ‘Why is there nobody here?‘ I went to a gig the other day at Telford’s Warehouse and it was nice and busy. I know when that performer had been there previously it hadn’t been and you think that that’s nice now that people have obviously heard this name and they are coming along to these events. S] Do you think that some artists feel that their own style won’t fit the Alexander’s vibe? J] It’s nearly a year in since I took over, it was November 13th, and we are still getting called a “jazz theatre.” Don’t get me wrong, I have absolutely nothing against jazz, we have jazz musicians here and I adore them, this Sunday for instance we’ve got Five and a Penny on and they are brilliant, every time they play I get here because I love it so much. I’m not against hosting jazz nights, but I think it was very focused on certain genres, and I don’t know whether it didn’t welcome the other genres or not because I cant speak for the previous owners, but maybe it was so specific that it put other people off. Now I do get a lot of people saying ‘Can we do this, can we do that?’ and obviously I’ve got to operate within the law within my license, and within decibel noise limits but, if I book somebody in and they’re asking ‘Can we do this? Can we do that?’ within reason, it’s their gig and it’s their venue. So yeah absolutely you can play any genre and style of music you like and any type of performance, as long as I’m not breaking my license then I’m completely down with that! And again it might not be to my taste but that doesn’t matter as long as it’s the people who do want to enjoy it, then that’s what it’s all about. We have something on pretty much every single day of the week, weekends usually twice a day and I just think that that goes to show that I am trying to be completely across the board. S: What is your own musical taste? J] I think it’s very difficult to answer stuff like that because I’ve been brought up with two parents that have got the widest musical tastes going. Not that I like everything that they like, so I was brought up on The Carpenters, Simply Red, stuff like that, and I was always going to live events as well. Ever since I can remember, my parents have taken me to gigs, all over the country. We went to see Fleetwood Mac when I was a teenager, all as a family and it was just brilliant. Fleetwood Mac’s up there, definitely one of my favourite bands. What I listen to at home, probably everything from a bit of pop to dubstep, drum and bass, house music is quite popular at the minute so I go to a lot of different nights all over the country, I’m always going all over the place to see things. This year I’ve been to see Simply Red live again, obviously I’ve been to a lot of stuff here and it’s great! I like a wide range of everything. S] Who are some of your favourite artists in Chester? J] I don’t want to forget anybody here, so I might ramble on for a while! But my favourite, who have only just played here this week is greenroom, they are just phenomenal. We’ve had them play here quite a few times, they played our festivals last summer, they played Halloween for us on Monday and I just really like their sound. I know that they’ve been recording over in Liverpool the past few weeks so I’m constantly going on about getting more music out there, because they’ve only got one song that you can really listen to online and I get really fed up of the same song on repeat! I’m a huge fan of theirs. In terms of the other side of the spectrum, the most listened to CD in my collection at the minute is Alx Green, I’ve got him on in my car. Again, first time I saw him performing was here and again I was just blown away, he is such a talented musician, really cool. I’ve got to pick this one actually because you can’t help but jump when they’re playing and that’s Broken Freeways, I’m growing closer and closer to that band, I first heard them at the gathering, (and a member of that band actually works for me!) so I’m very close to them in that respect anyway, they’re kind of scar-punk, great band. I’ve got one more that I want to mention actually and that is the guys who headlined the festival for us here at the end of May, that’s Galactic Funk Militia. We are chatting every day with them at the minute trying to find a date for next year, we’re just so busy at the venue it’s really difficult obviously, bands are weird busy. S] Chester is an emerging scene, what would be your advice to a band or artist trying to get their name out here? J] I think that it’s important obviously to play as many gigs as you can, but at the same time you want to make it special, so you don’t want to flood the market too much. It’s really hard I think for the local musicians to get a good balance because you’ve got to make a living, but at the same time if you’re playing every single night in the same city, you’re going to have one of them where you’re quiet, but you also don’t want to play to an empty room. So, travelling out to the local places, North Wales, Liverpool, Manchester, I think that is important, but then obviously don’t forget Chester. But I think that the local musicians round here are great on that side of stuff, they’re really good, Chester kind of holds a really special kind of place in most people’s hearts. I think anyone that lives here for any amount of time thinks that, so they always want to come back and they want to play. S] How would you advise promoters to get more involved in the scene? What would you say to promoters who want to use Alexander’s as a resource? J] I am completely open to that, and I like that because I am here all day every day! And if I do have a promoter who wants to take charge of a night, it gives me a night off! I don’t necessarily mean I won’t be here, but it gives me a night off from having to put all the hundred percent of everything into it. So I am completely supportive of people coming in and approaching me. I wouldn’t give every single day of the week away to a promoter because obviously you’ve got a certain amount in house, but finding a balance absolutely. I think it’s great that there are people out there that do want to do that. I like as well the fact that you’ve said local promoters rather than agents and managers because to be honest with you most of the problems that you do run into is when it’s not direct with the band and so a local promoter has got that local knowledge, which I think you need in Chester. With the scene emerging the way it is, I do think you need a local knowledge to get the most out of the venue and the musicians. S] What are your goals for Alexander’s? How do you want to see it evolve? J] I think that the best way to answer that is to reflect on the last year, I have learnt so much since I took over here and I’m still learning every single day. There are things that I thought would just go down an absolute storm that haven’t worked, there are things that I thought wouldn’t work that have just been amazing and then other bits and bobs in the middle. I’ve learnt every from single experience with bands, musicians, artists and performance that we’ve had here this year, that I’ve kind of got more of a structure moving forwards on how we’re going to put things together. There are certain bookings that are well suited to a Saturday, and there are certain bookings that want a Saturday, but I know that they’re going to be better suited to a Thursday, so I’m using that knowledge and putting it into all the bookings going forward. For next year’s diary I am really excited by some of the stuff that we’ve got in here. Again, a huge broad range of things, we’ve got monthly nights that are going to be starting so people know where you stand. S] What advice would you give to graduates coming out of university or people of any age who wanted to take on a venue? J] I’ve actually already been approached over the last year by quite a few students and even people that are younger than the university age that do want to get into the industry, and the main bit of advice I would give is, you’ve got to start up from the bottom and work your way up, I think that is true of any industry. Like I say I was seventeen collecting glasses in a country pub and I’ve worked in every single style of venue that you can imagine. Live music venue, night club, bar, restaurant, very fancy restaurant, grotty country pub, and I just think that you’ve got to understand all aspects of every job. I’ve even done bits and bobs of work in kitchens, because obviously we do food here and I’ve got that knowledge of that, so I think that the main thing would be just put in the hard work and don’t just think it’s going to come overnight. But then on the flipside of that if it’s your dream don’t ever give up on it. I’m thirty-three, so I kind of think that I’m young enough still to be here all day, every day and really enjoy it and put the hours in, but I’m also old enough to be in the industry. I’ve been to university, I studied, I got my degree, I’ve been travelling, I’ve done all of those bits and bobs that I think make you a rounded whole person, rather than just specific to the venue or the genre. I think that’s important. S] What’s been a defining moment for you in your career so far? J] I’ve got plenty of them! I think working abroad, I toured a contemporary dance show around Japan. I learnt a lot from that, I didn’t necessarily enjoy it, because it was so hard I ended up in hospital while I was out there just from exhaustion. But that was 10 years ago now so looking back on that, I think that really helped put things in perspective. I love travelling, I’ve worked in different countries such as Japan, Australia, I’ve worked all over the place, but that one definitely jumps out. And then a much more recent one, was actually Monday just gone. I mentioned greenroom were playing, and we had other local bands in, Somnium, Mountainface and Luke Gardner. It’s not the first time that I’ve walked into the venue and been content because we’ve already said how much I love Loser Baby and the seventies nights that we have, but it was the first time I stood serving behind the bar and there was that feeling that you just can’t describe. Everyone was in fancy dress and everyone was smiling and happy, the drink was flowing, the music was amazing, and someone said to me, I can’t remember who it was, it might have been a member of my staff said: ‘Isn’t this just what you imagined when you knew you were going to take over a bar?’ and that has stuck in my head and I just thought, ‘Do you know what, yeah this is exactly what I imagined’ and if every night of my life here can be like that then I’ll be a happy man.